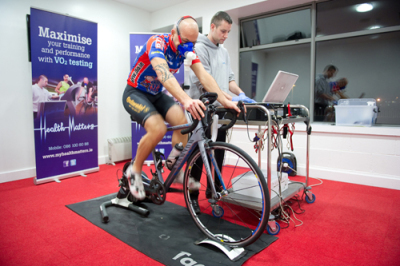 Our VO2 Max Tests will show Aerobic, Anaerobic and Lactate Thresholds to help determine proper training zones for cycling and running. Our VO2 Tests will show athletes the exact amount of calories they burn at all different heart rates and intensities. This allows us to help our athletes fuel properly. Substrate utilization is also determined with our tests. We can show you when you shift to burning fat as fuel and moving to all carbs. What is it? 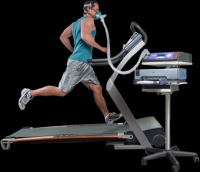 VO2 Max is the maximum rate of oxygen consumption as measured during incremental exercise. Maximal oxygen consumption reflects the aerobic physical fitness of the individual, and is important to determine endurance capacity.